Native Oysters at San Leandro Marina - Applied Marine Sciences, Inc.
AMS scientists conducted assessments of native oysters within and adjacent to the San Leandro Marina to characterize their relative abundances, distributions, and survival rates on docks and pier pilings, as well as in the intertidal zone. Our investigation evaluated potential environmental stresses affecting oyster recruitment and growth, and potential effects that planned marine improvements would have on existing populations. 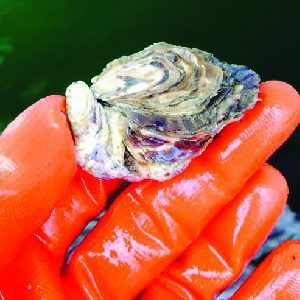 Data from this assessment was used to design and recommend a monitoring program of the native oyster beds, as required by United States Army Corps of Engineers (USACE) and the National Oceanic and Atmospheric Administration (NOAA) Fisheries.